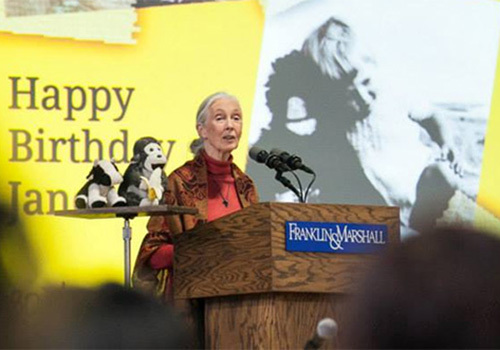 In the field of animal behavior, perhaps none are as well-known or celebrated as Dr. Jane Goodall. 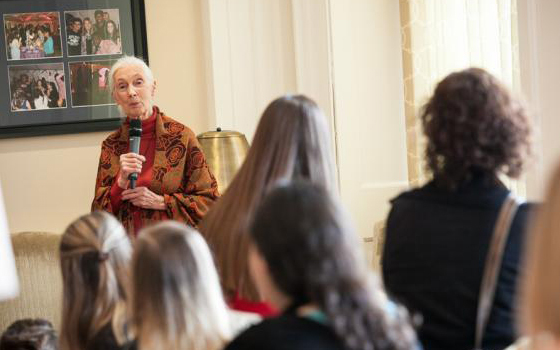 The renowned primatologist is best known for her work studying chimpanzees, beginning in the 1960s at Gombe Stream National Park in Tanzania and, at 80 years old, remains an active conservationist, anthropologist and public speaker. Recently, Goodall visited Franklin & Marshall College, a private liberal arts college located in historic Lancaster, Pennsylvania. The animal rights activist spoke to a sold-out crowd of 2,700 at Franklin & Marshall’s Mayser Gymnasium and delivered a message of hope, conservation and the virtue of pursuing one’s dreams. 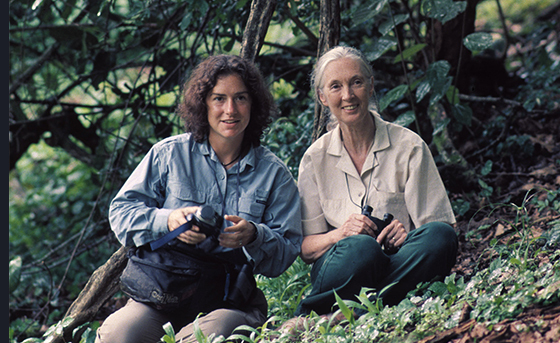 Franklin & Marshall Assistant Professor of Psychology Elizabeth Lonsdorf and primatologist Jane Goodall at a research station in Gombe National Park in Tanzania. 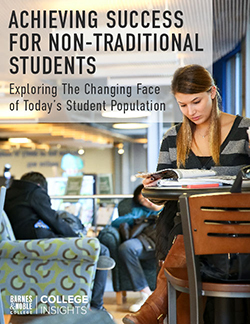 With the knowledge that Goodall would be promoting her most recent book, Seeds of Hope: Wisdom and Wonder from the World of Plants, Sarah Dawson, Director of the Wolhsen Center for the Sustainable Environment (sponsor of the event) and Lonsdorf approached the Franklin & Marshall College Bookstore for help with the event.